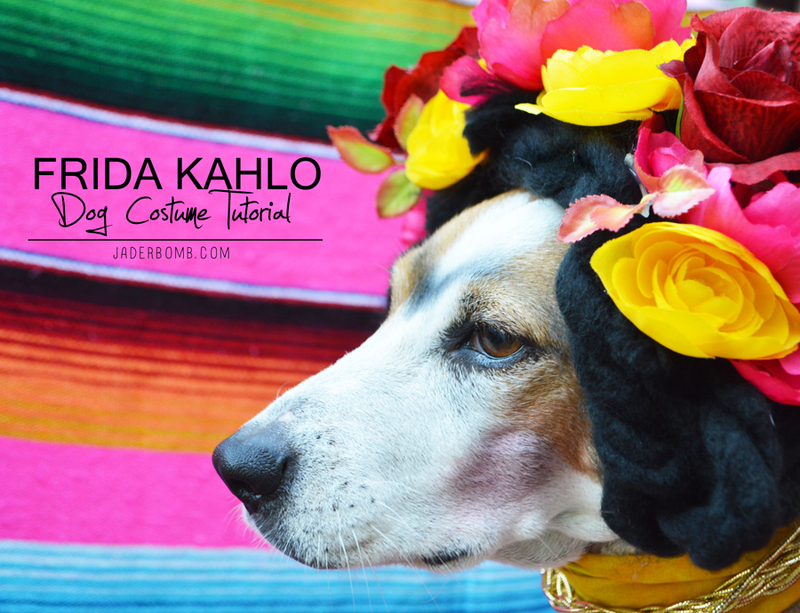 Halloween is my favorite holiday and in today’s challenge post I will show you how to make a Frida Kahlo Dog Costume. Now I know what you are thinking…How on earth can we make this happen. 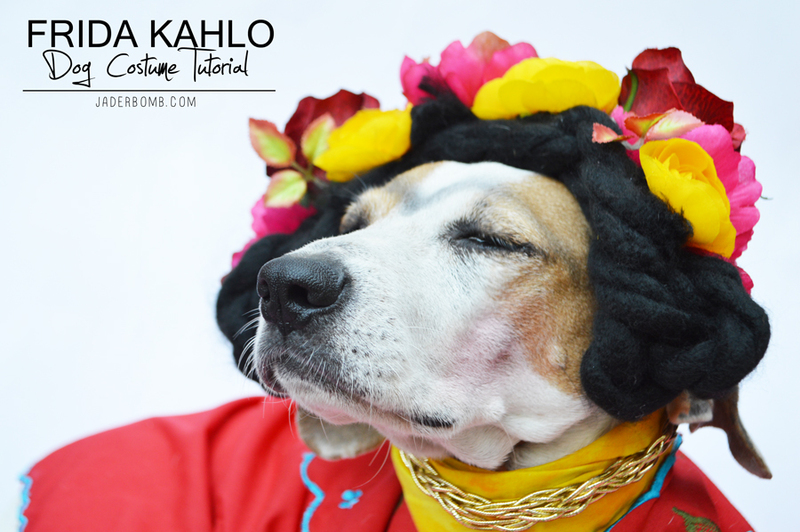 It’s quite simple you give your dog a tranquilizer (not really) and pray they don’t shake off the flower crown and bite off the shirt. Lucky for me my dog Ceaux Ceaux is a true model. She simply LOVES dressing up and sitting still for hours while I snap photos of her. 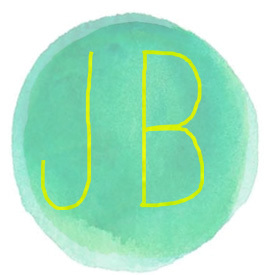 She even has a blog, check it out here! 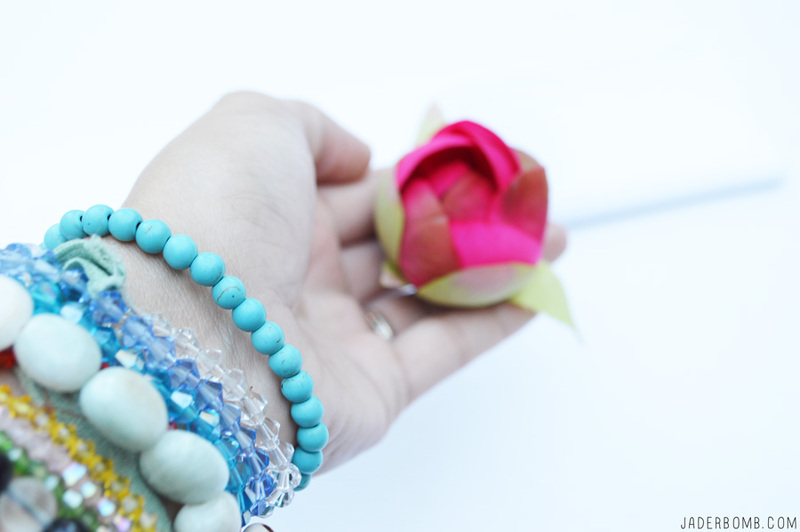 I have been a Michaels Maker for 2 years now so make sure and check out all my projects I have made so far! 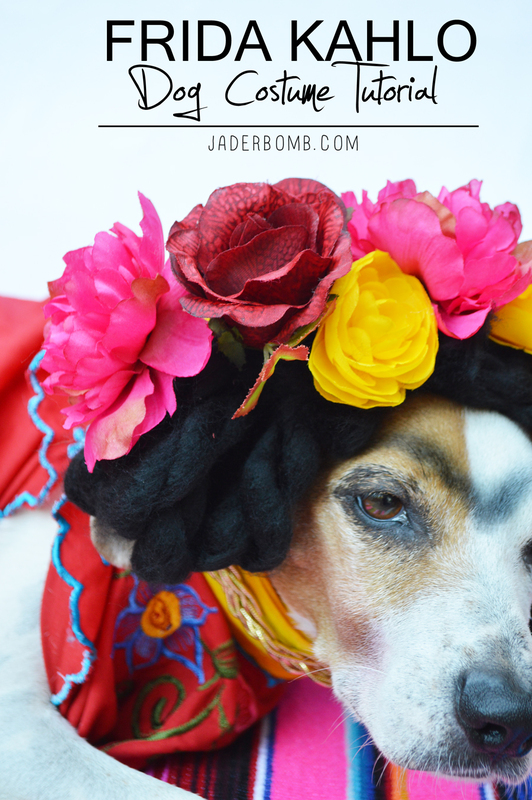 The good thing about this project is you can use all the supplies for yourself if you don’t want to dress up your pet! 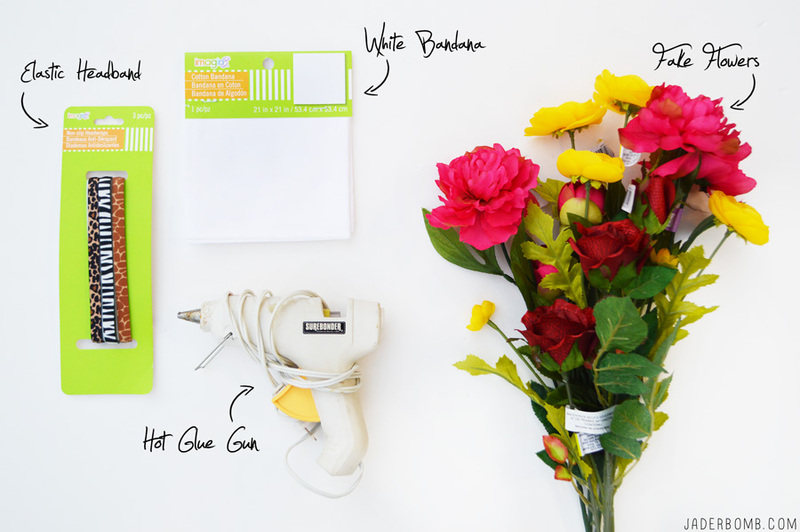 Here are the supplies you will need for your flower crown. This makes it easy to keep on your dogs head. 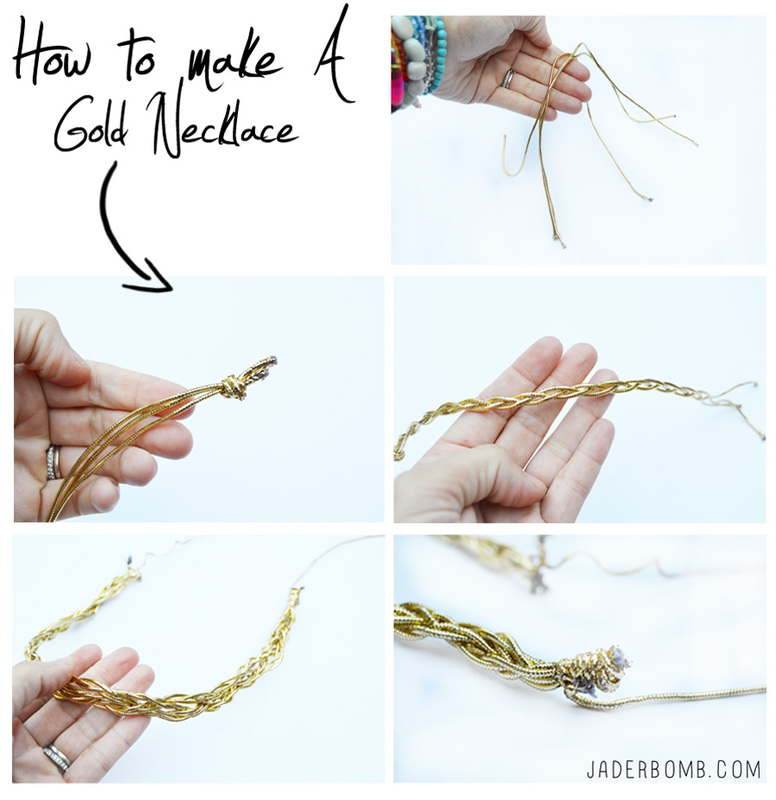 If the elastic is too big just cut it and tie a knot until it fits. 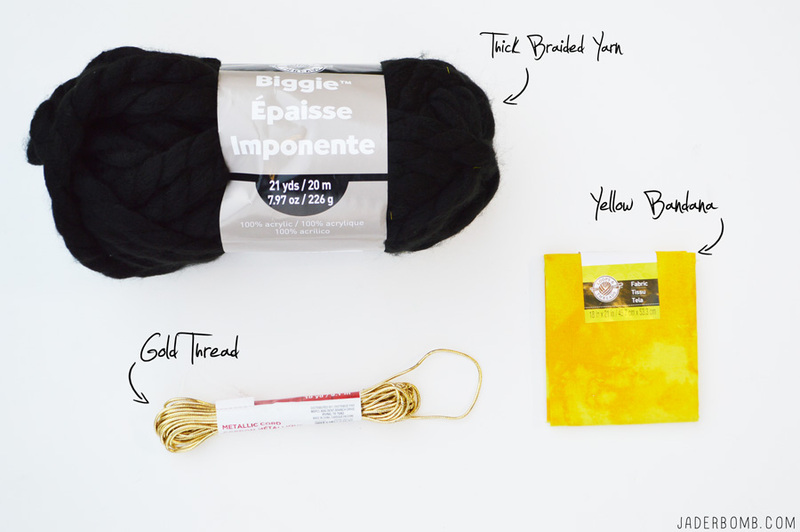 Supplies for your gold chain. 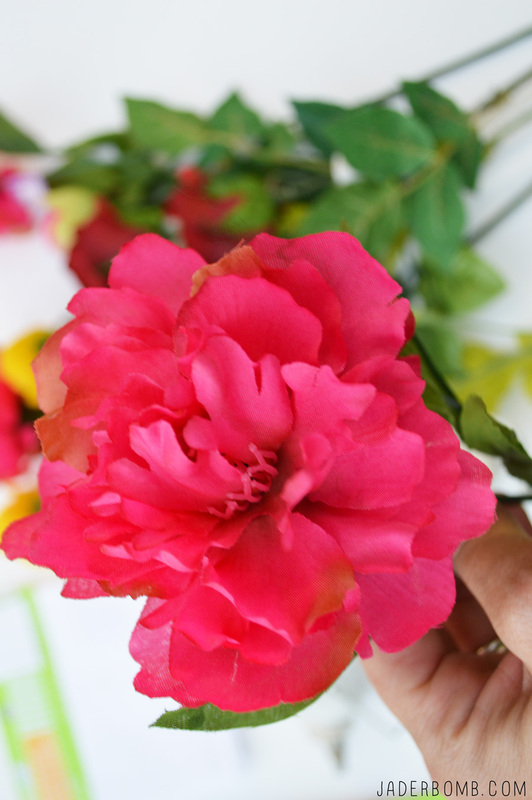 How gorgeous are these flowers! 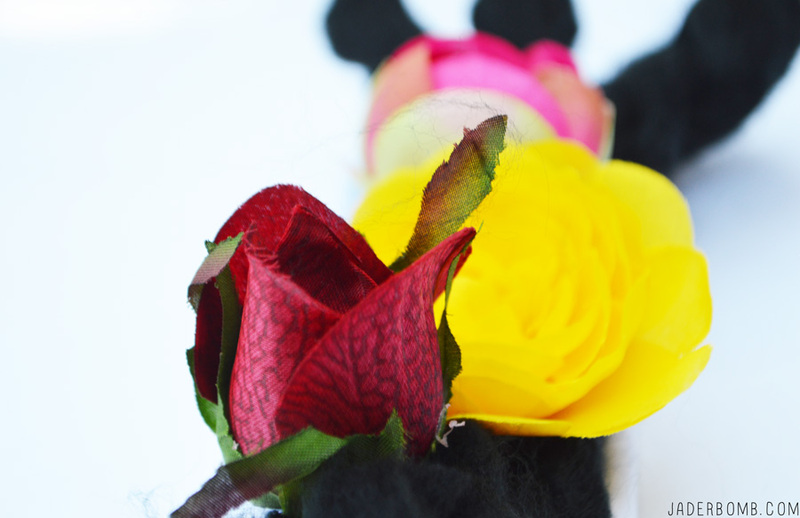 I love flower crowns! Somedays I like to wear them for fun! Whether you’re into spooky sights, playful pumpkins or giggling ghouls, the Michaels.com Halloween project page has tons of ideas for DIY Halloween costumes and décor. I think we can all agree that she is a hot mess. What is crazy is the more I stare at it the more I laugh, and LOUD! 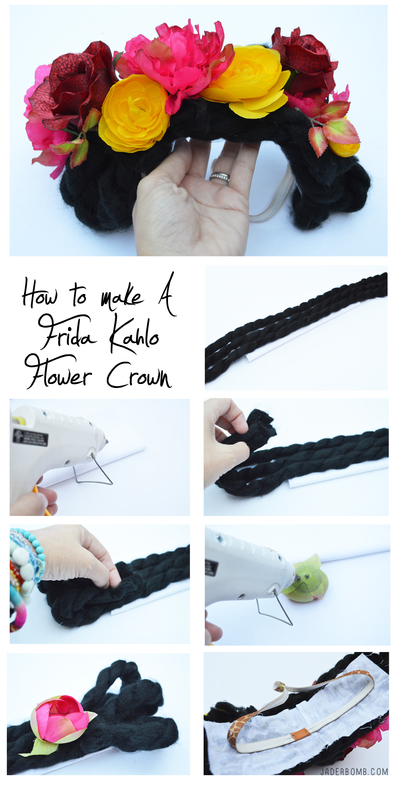 I mean, she really looks like Frida! I created her eyebrows by brushing on black eyeshadow and I also applied blush to her cute cheeks. STOP THE MADNESS! Michaels has great products and inspiration to help transform your yard, classroom or living room into a spooktacular space this year! Still haven’t decided what you’re going to be? 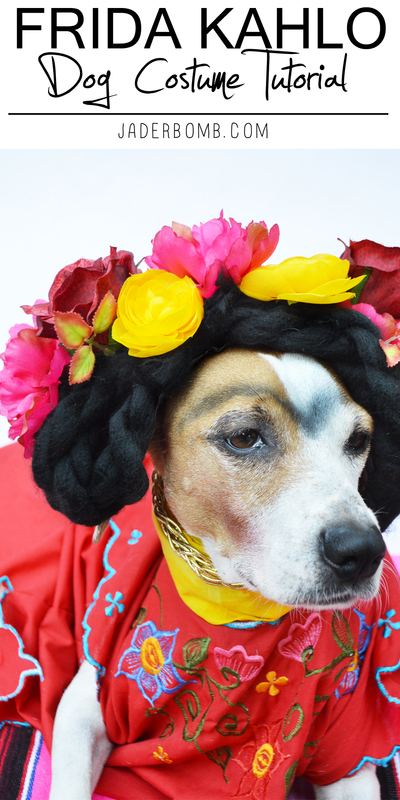 Check out the other 49 DIY costumes from the Michaels Makers and you might just find the perfect one for you, your kiddos or your beloved pet this Halloween– they’re to die for! Oh my gosh, stop the madness! This cracked me up! I love the photo with her eyes closed. 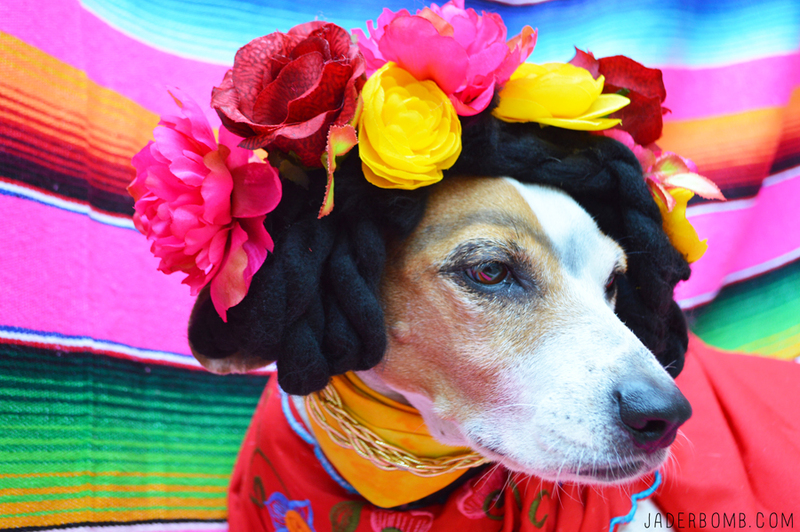 I love Frida so this is my favorite costume of the year….blush and unibrow on the dog made me spit out my drink. I love this! My bulldog is going to be Freda as well this year!